Our Motorsport students have been developing their design skills with an AutoCAD course. AutoCAD is a computer-aided design software package that allows engineers to produce 2D and 3D designs and drawings. The software is widely used within the automotive industry to produce concept and mechanical car designs, allowing car manufacturers to assess the design and avoid making mistakes during the production process. 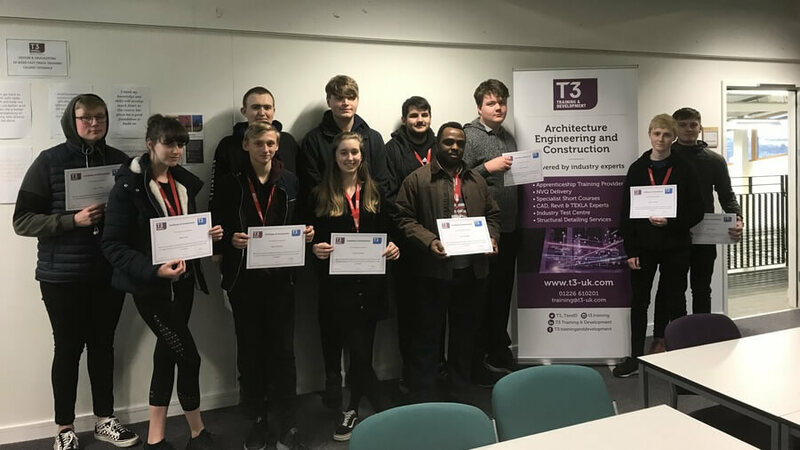 The Level 2 and 3 Motorsport students attended the three-day course at the College’s Think Low Carbon Centre where the training was delivered by T3 Training and Development, a training company specialising in design within construction/engineering and the built environment. Students created 2D and 3D drawings of component parts, including car parts, which provided them with practical design skills and professional experience of the software.